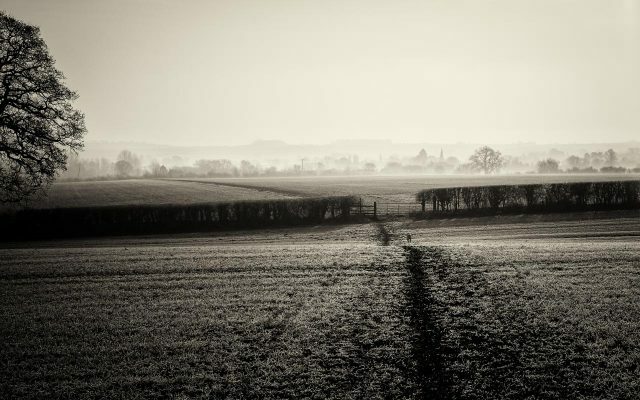 Heading home from a frosty, early morning walk a few weeks back – misty in the distance – you can just make out the spire of St Mary’s Church at Shipton-under-Wychwood (slightly right of centre amongst the trees). You can also just see Sparky heading impatiently to the next gate! Originally in colour, this photograph was edited in Lightroom and converted to B&W using Nik Software’s SilverFX Pro – used a medium sepia tint here after boosting the contrast to add drama.